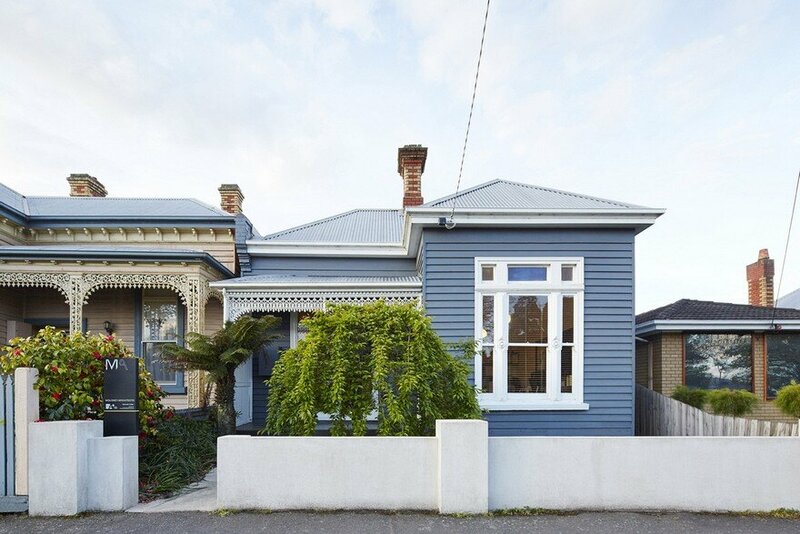 Wooden Box House is a turn-of-the-century weatherboard home that merges Victorian heritage with a contemporary architectural extension to house a growing family. 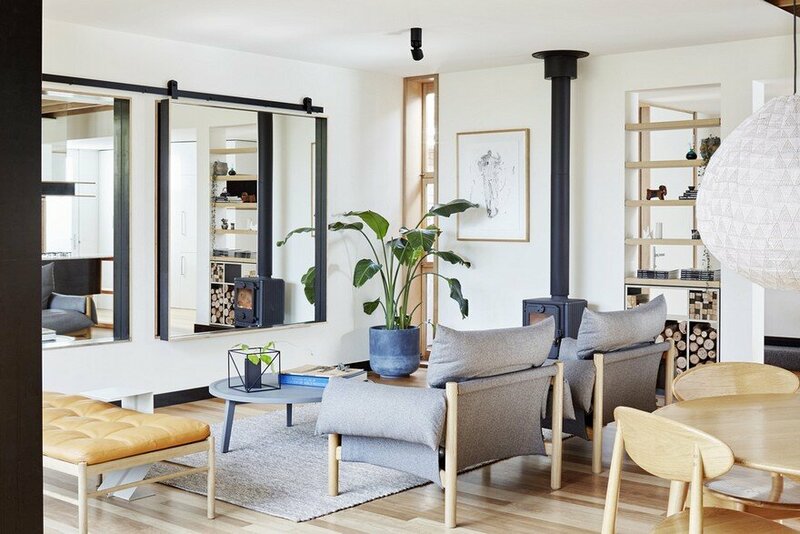 The project, located in the regional Victorian town of Ballarat, saw Mick and Jules Moloney, co-founders of Moloney Architects renovate and extend the century-old residence to meet the changing needs of their family of five. 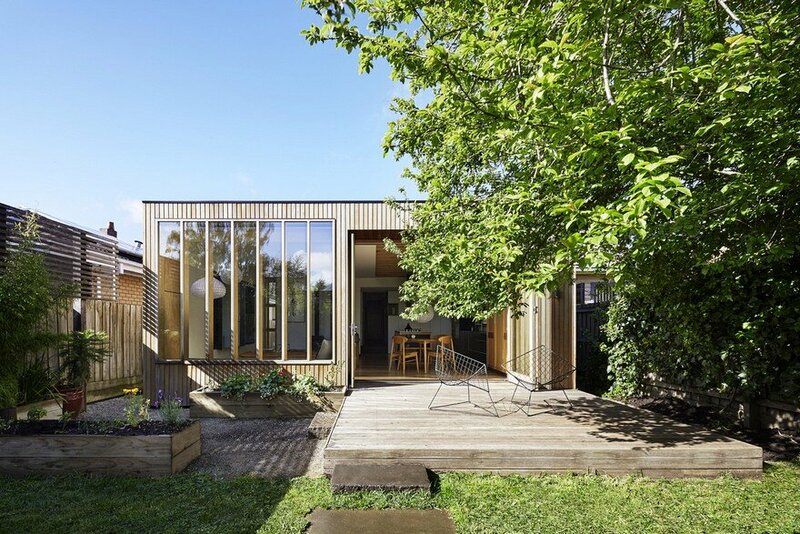 Looking to open up the cramped living quarters, the architects added an open ‘wooden box’ to the rear of the existing house. 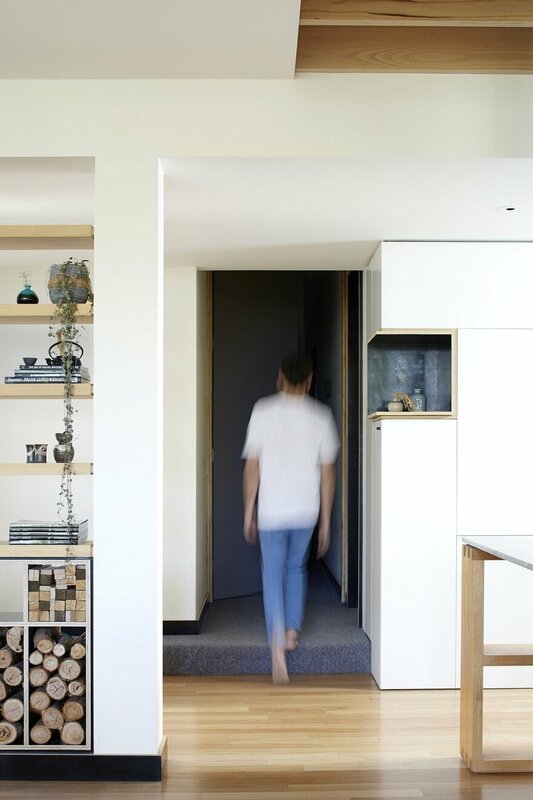 This new space is joined to the original structure via a connection space with dropped ceiling that acts as a shadow line between the two structures. 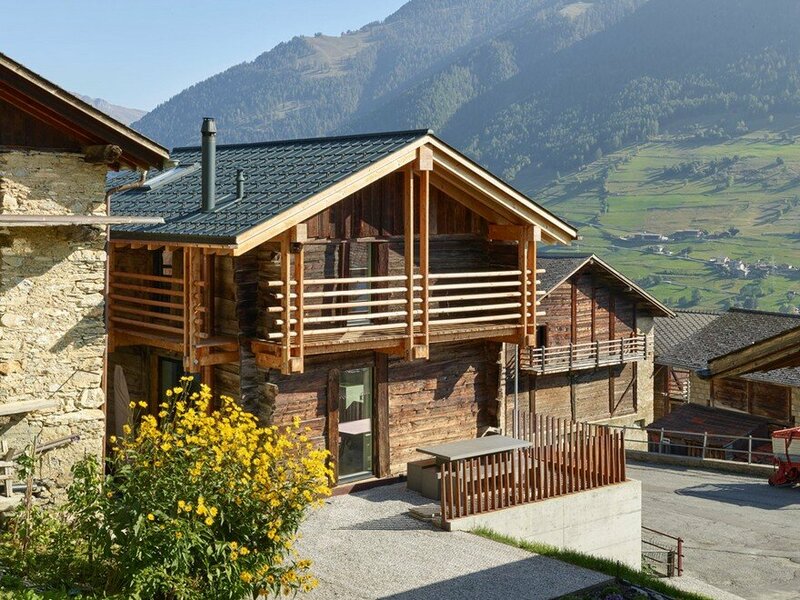 The shadow line not only blends the old and new forms so they might sit comfortably side-by-side, but allows the original roof structure to remain unchanged. 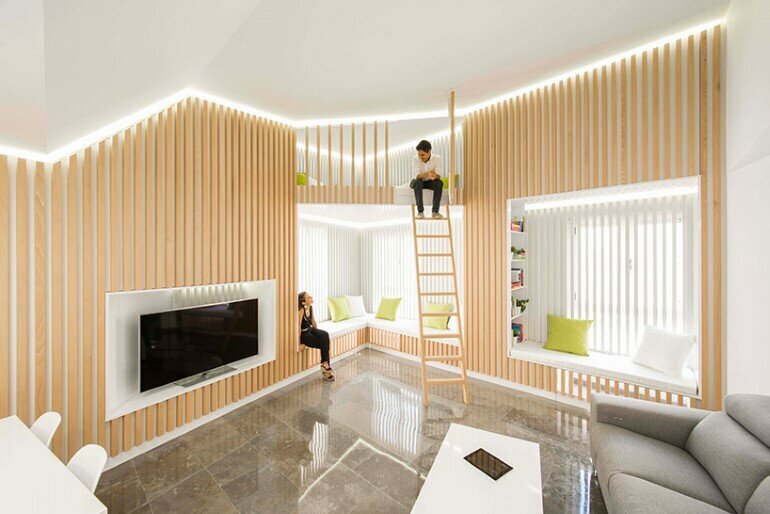 The result is an open and contemporary living space that respects its heritage context. 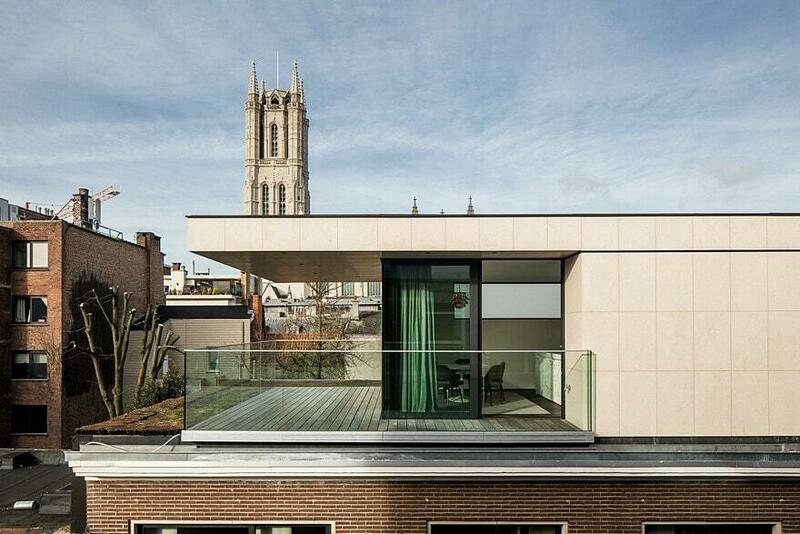 The Wooden Box addition also takes advantage of the north-facing block with a large window seat. 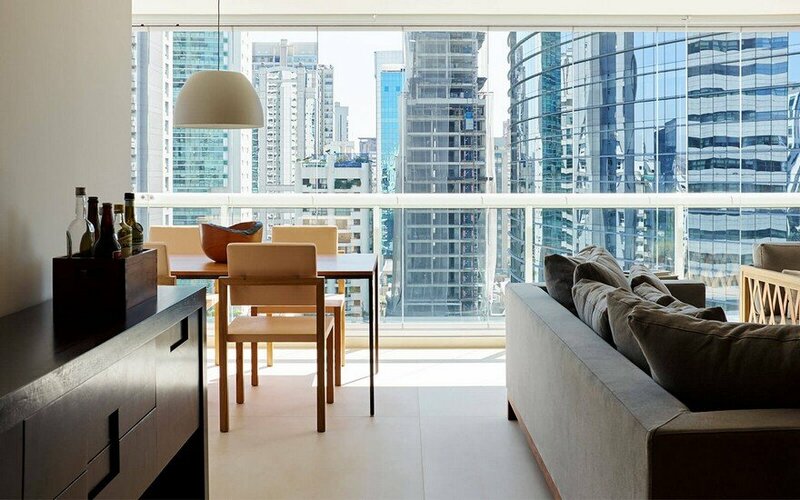 “This group of vertical windows captures long shafts of sunlight that reach right to the very back of our central living space. 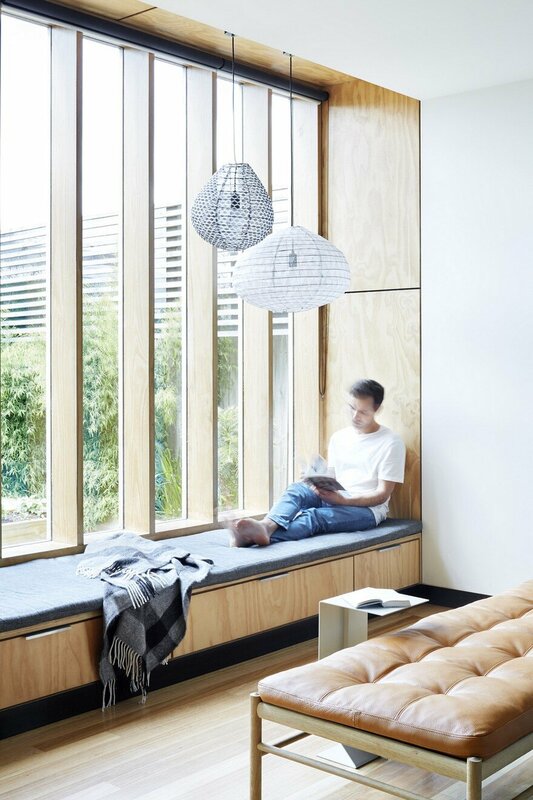 The space receives plenty of natural light and also has a positive psychological effect of feeling warm and cheery. 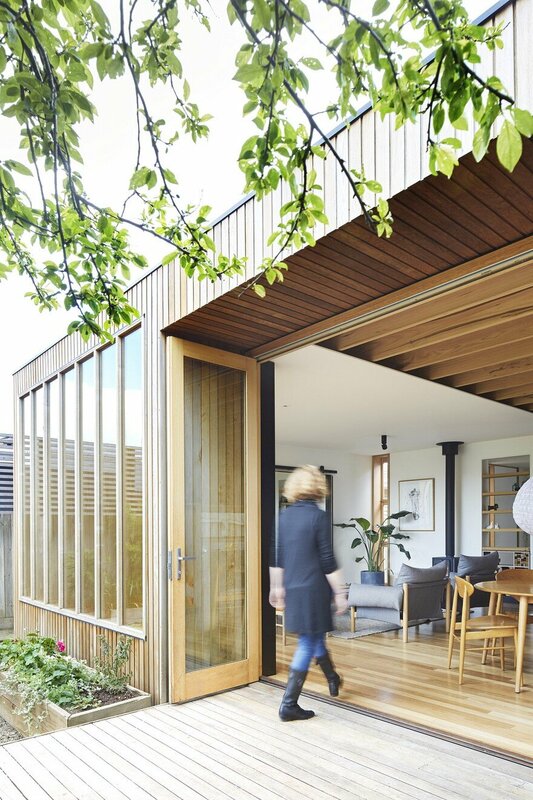 It makes those chilly Ballarat winters much more bearable,” said Moloney Architects Principal, Mick Moloney. 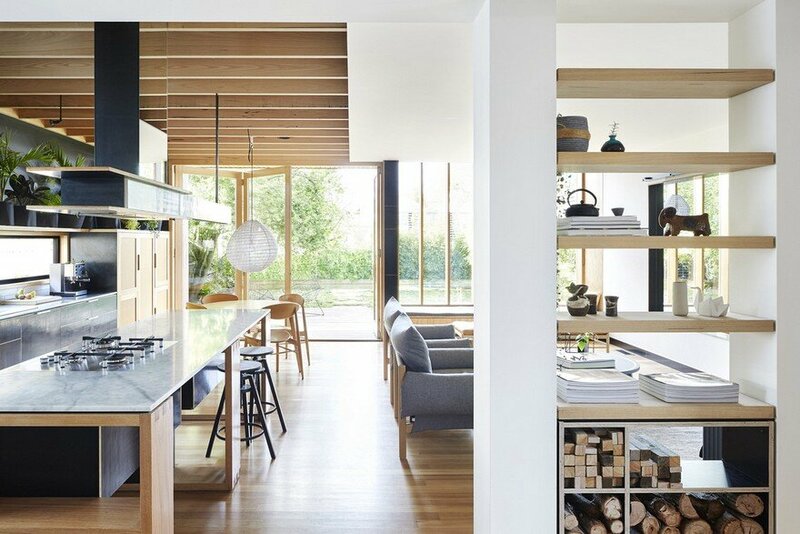 The heart of the family home, the architects designed the kitchen with a social central island bench. 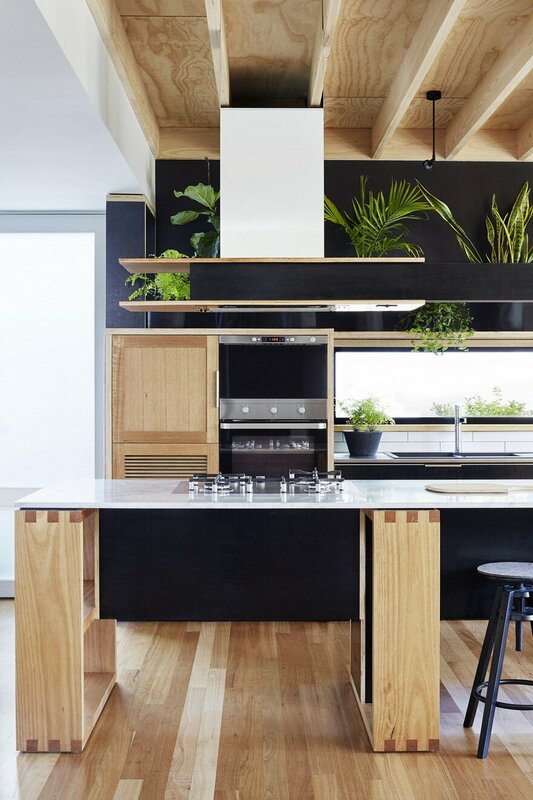 “We incorporated the cooktop into the island with stools opposite to encourage conversation while cooking”, said Moloney Architects co-founder, Jules Moloney. 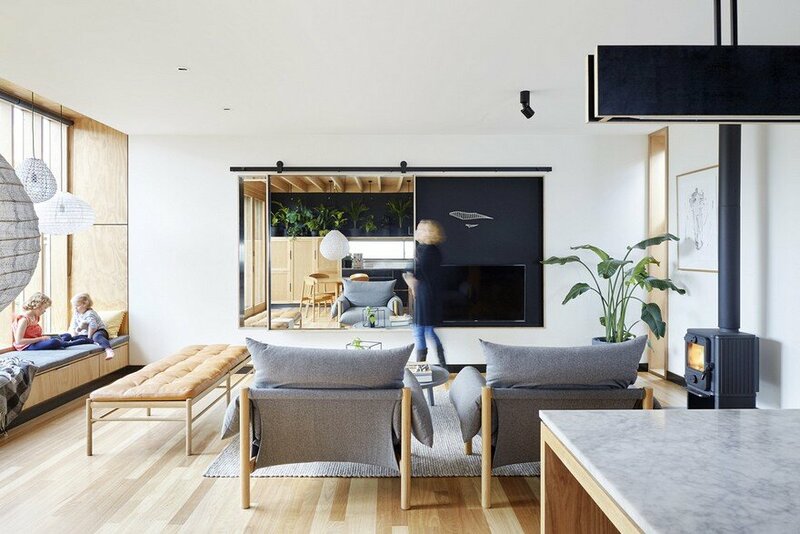 “We love how open it feels, and with the north face of the kitchen space almost all glass, we can open the wide multi-fold doors and connect to the outdoors,” she said. 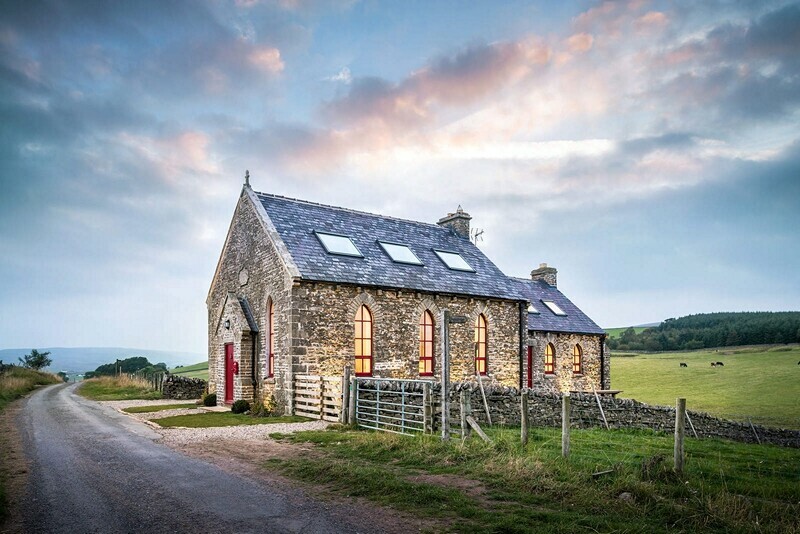 Mick and Jules have been economical in their use of raw, honest building materials. 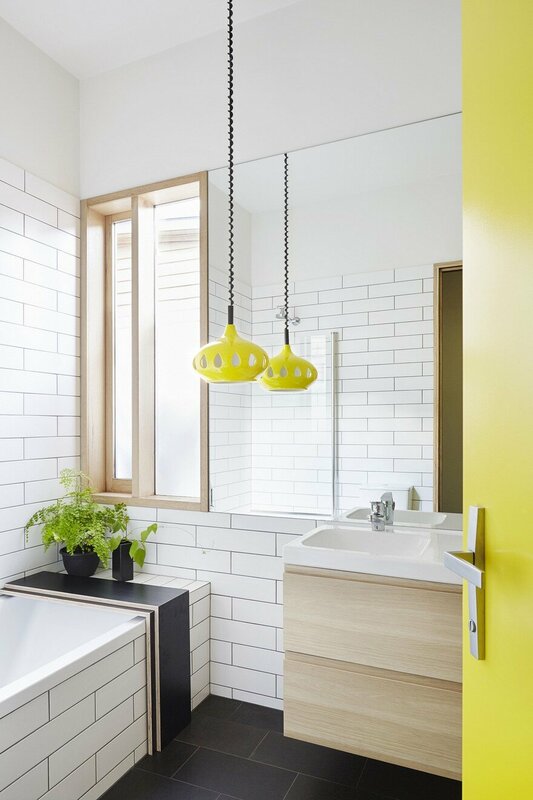 Formply is used across the kitchen drawer fronts, island bench and skirting boards. 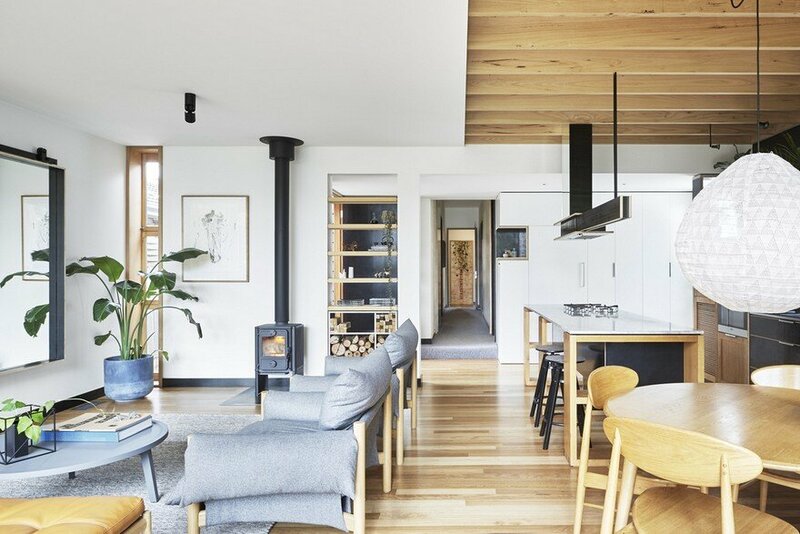 Windows and exposed beams are constructed from Tasmanian Oak. 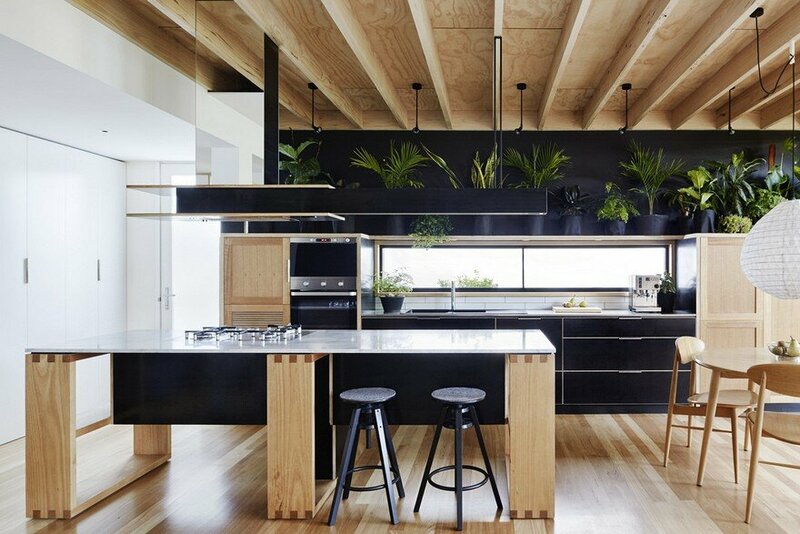 Complementing this is flooring in Blackbutt and cladding in Cedar. 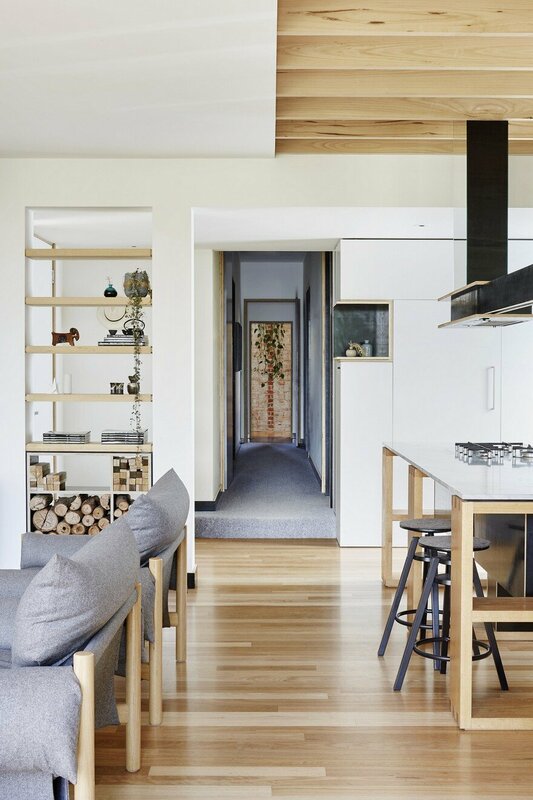 “As designers, we are particularly interested in the grain and warmth that natural materials like timber can bring to a space. 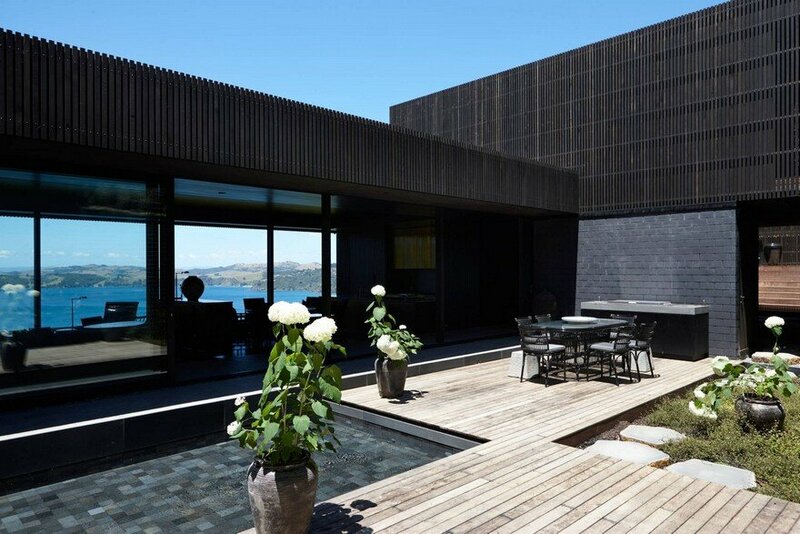 In this project we’ve employed raw and unadorned materials like plywood and formply to create a relaxed and informal atmosphere. This really encapsulates the way we like to live,” said Mick and Jules Moloney.